A former Miss America hopes this is the year Missouri passes legislation to require health insurance plans to cover the diagnosis and treatment of eating disorders. 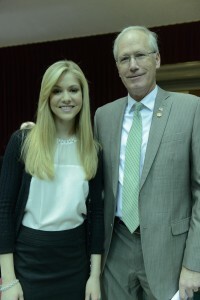 Miss America 2008 Kirsten Haglund has visited the Missouri Capitol once again, urging state lawmakers to pass legislation that would require insurance plans go farther to help people fighting eating disorders. Senate legislation on the issue is awaiting attention by the full chamber, while a House bill has been heard by a committee that hasn’t voted on it. Haglund told lawmakers at the Capitol that she, herself survived a struggle with an eating disorder. Haglund says there is a wide gap between what treatment for eating disorders is covered and what is not. The bill in the Senate is SB 769 and in the House is HB 1493. Governor Jay Nixon has vetoed legislation that would have blocked mandatory insurance coverage for for abortion, contraception or sterilization for those who have moral, religious or ethical objections to those procedures. It would also prevent employees or employers from being penalized for refusing to have or offer such coverage. Nixon says the bill would have allowed insurance companies to make the decision to deny such coverage even when employers and employees want it. 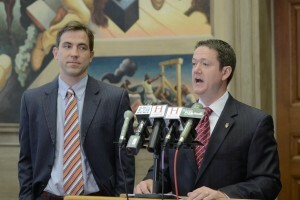 Nixon says Missouri law already has, and he supports, such protections. Nixon says a “worthwhile idea” in the bill is a provision requiring notice be given to opt in or out of coverage. The bill’s backers say it would have blocked federal policy from making religious organizations pay for coverage for procedures they object to. Nixon says he didn’t consider that conflict in making his veto decision. Some Missourians have learned too late that a Medicare supplemental plan they have bought is not a supplement at all. The legislature is being asked to pass a law keeping agents from misleading Medicare recipients about what they’re being sold. So here’s a simple thing to remember: No matter what your agent tells you, a Medicare Advantage policy is not a supplement for your Medicare policy. It’s a replacement and the purchaser might find out that they cannot go to their usual healthcare provider because that provider is not part of the program. Director Pat Selby with Heartland Retired and Senior Volunteers in Kirksville admits the insurance industry has improved the way the policies are pitched. But she says there are still some bad-actor agents and brokers. The committee is studying a proposed law requiring insurance-sellers to make it clear that the policy is a replacement, not a supplement, and giving purchasers a couple of days to contact their doctors and other healthcare providers to see if they are included in the policy’s coverage. A lobbyist for Missouri’s independent insurance agents says 95 to 98 percent of agents do a good job. He says the bill will help the others do a better job it if becomes law. The Missouri Hospital Association reports a dramatic increase in uninsured and underinsured patients checking into emergency rooms. Spokeswoman Mary Becker says the problem is multi-faceted and that employers have been offering less insurance to employees for a few years now as premiums have gone up. The economic recession, she says, has merely exacerbated the problem. State budget shortfalls could further financially impact patients and hospitals if cuts are made to the Medicaid system. Click the sound icon below to listen to Mary Becker explain how this problem facing Missouri hospitals financially impacts everyone in the end. A coalition of groups calls for an emphasis on reforming America’s health care system, but doesn’t endorse any particular plan. The coalition operates under the overall name of " Health Care for America Now ". It launched its $40 million campaign with a news conference in Washington, D. C. as well as coordinated news conferences held in 52 cities across the country, including Jefferson City. The news conference held in the Capitol was one of 38 held in state capitals throughout the United States. The coalition doesn’t endorse any specific plan, but wants health care that is universal and doesn’t deny coverage due to pre-existing conditions. 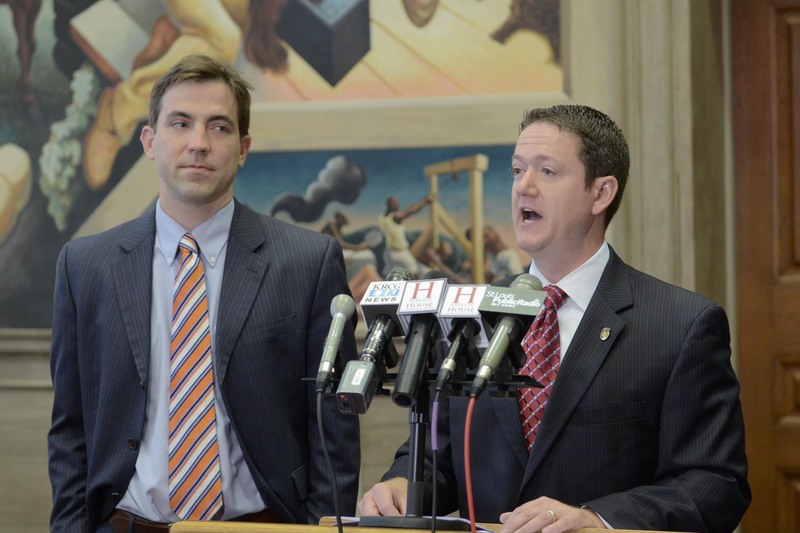 Missouri Pro Vote’s Ben Murray kicked off the news conference at the Missouri Capitol by stating that the country’s health care system is broken and the question is not about Republicans or Democrats, but about making sure all Americans have health care coverage. The coalition, though, is made up of a number of groups that typically support Democrats, such as the Service Employees International Union (SEIU), the American Federation of State, County and Municipal Employees (AFSCME), the Association of Community Organizations for Reform Now (ACORN), MoveOn, the National Education Association (NEA) and Planned Parenthood, does the coalition have the make-up needed to convince both Democrats and Republicans that health care must be a priority issue? Murray says the coalition has reached out to both sides of the political aisle. He surmises that some Republicans will be more receptive than others. Others at the news conference objected to the premise of the question, such as Dr. Hope Tinker, who has a private practice in Fayette. She says she treats both Democrats and Republicans and people of all parties are both concerned about the issue and have personal stake in it. Allstate Insurance’s good hands are not going to let go of some documents demanded in a Jackson County lawsuit even though the company’s refusal is costing it $25,000 a day. The penalty ordered by the judge in the case already total $2.4 million. The lawsuit charges Allstate has been running a claims payment system since the 1990s that earns the company big profits by shortchanging clients. Allstate says the 12,500 pages of material contain trade secrets. But a circuit judge has demanded them. 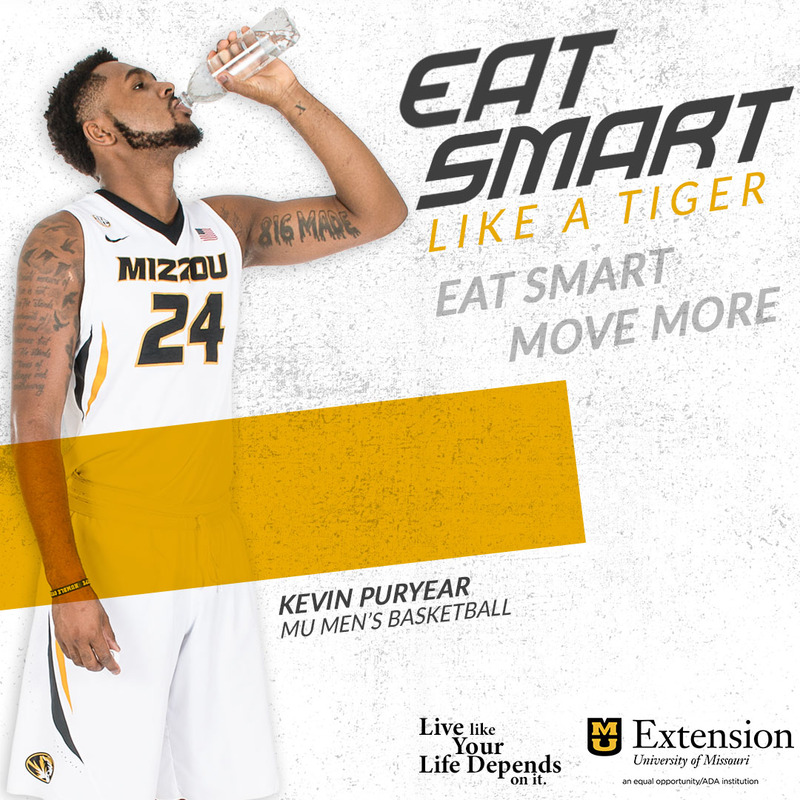 The Missouri Supreme Court agrees with him. The case involves a man who says Allstate has refused to pay his claim arising from a vehicle crash seven years ago. A Senate committee hears a proposal aimed at increasing the number of Missourians covered by health insurance. Senator John Loudon of Chesterfield sponsors SB 556 , legislation to expand health care access through what would be called the Missouri Health Insurance Exchange. Under Loudon’s legislation, small companies with under 25 employees would be required to join this Exchange. Loudon says the Exchange or connector would benefit both employers and employees by bringing together different health company plans, having the employer offer a monthly allowance to each employee to purchase insurance, and giving the employee the choice of plan that would best suit his or her needs. While there is no mandate requiring an employee to purchase affordable health care coverage, that employee would be held accountable if there is a need for medical services. A person with the finanancial wherewithal to buy insurance, but who chooses not to buy, could see the Revenue Department demanding that the state be reimbursed for the costs incurred. The number of Missouri workers covered by employer-paid health insurance is shrinking…and coverage of employee family members is declining. A new study describes that problem. The Missouri Foundation for Health says the practice of employers offering health insurance to employees took off after World War Two—and in the 60s and 70s, about 80 percent of employers covered workers.Many also covered family members at no cost to the worker. But as healthcare costs have risen, fewer small employers can afford the coverage. More than half of the families in which both parents work are now getting insurance through one spouse’s employer-provided coverage. That’s costing the bigger employers an estimated 891-million dollars a year—a situation the foundation says cannot continue. MFH Vice President Leslie Reed says small busienss needs to mobilize and press the legislature to give them options. Reed also says larger employers need to support them intheir search for more solutions and otions so the costs of healthcare can be more equitably spread. The foundation says almost 700-thousand Missouri workers are getting insurance coverage from one spouse’s policy. The legislature has discussed allowing smaller employers to form pools to get health insuance–but the idea has lacked the muscle to get passed.